The furnace is a vital part of keeping your home’s interior warm, especially during the cold winter months. It’s imperative then to schedule heater repair service as needed to ensure top performance. Some people, however, tend to put this off due to a lack of time or money, or the fact that they have no idea that their furnace needs repaired in the first place. Here are some signs to look out for that indicate your furnace may need to be repaired. 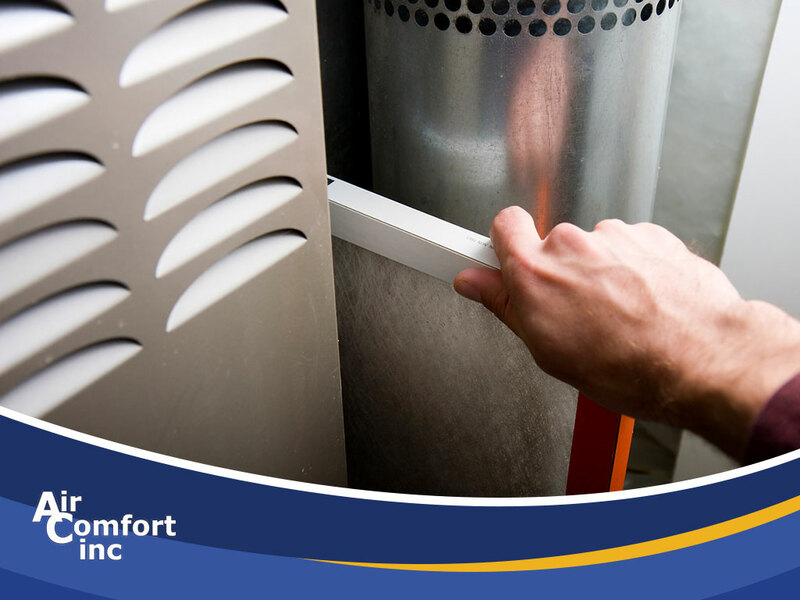 If your furnace has quite a bit of mileage on it, you might have trouble turning it on and keeping it running. If this happens more than once throughout the day, then it might be time to take advantage of boiler repair service like what we offer at Air Comfort, Inc. Furnaces smell like the fuel that’s used to operate them. Usually, though, this smell dissipates as the unit runs. If instead of lessening the smell gets stronger, appears out of nowhere or doesn’t go away at all, a gas leak might be the problem. If you suspect a gas leak in your home, get out of the house immediately and call the gas company. A healthy pilot light in your furnace is usually blue. If the pilot light turns any other color, then that may indicate a ventilation problem, which means gases like carbon monoxide aren’t dissipating like they should. This is extremely hazardous to your health and may even cause a fire. Get a pro to fix it immediately. The furnace isn’t exactly quiet, but if the noise is loud and persistent and includes sounds such as squealing, whistling, banging or groaning, then there may be something damaged in the unit. The furnace’s job is to heat up your home, so if it fails to do so regardless of your control systems’ settings, then it might be time to schedule that repair. If your furnace tripped a carbon monoxide detector, that indicates the presence of toxic gases. Assuming nobody is experiencing symptoms of CO poisoning (nausea, vomiting, headache, dizziness, confusion), turn the unit off immediately, ventilate your home and get it fixed. If you have any issues with your furnace or control systems, don’t hesitate to turn to us at Air Comfort, Inc. for all your furnace and HVAC needs. We’re your number one provider of furnace and air quality services. Give us a call at (330) 510-2446 or fill out our contact form to request an estimate. We serve clients in Akron, OH, and other nearby areas. All About Comfort: Getting to Know Air Comfort, Inc.